Michael shows just how capable the Hunts Motorcycles/MD Racing Honda CBR600RR is as he throws it through Greeba Castle, leading Guy Martin in Supersport race 1. The 2014 TT proved another virtual whitewash for Michael as he took victory in four of the five races he contested. The Monster Energy Supersport Race 1 was the one that got away, as Gary Johnson on the Smiths Triumph scored his second TT win. 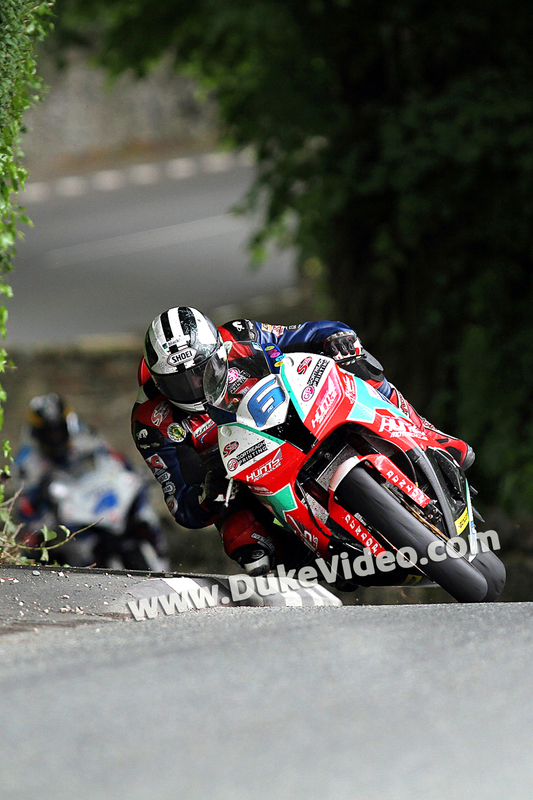 Ciaran Broad did well to make sure this one didn't get away - a superb TT photo in every way.